It’s mid-May so traditionally it is time for farmers in Northern Ghana to start planting. In Upper East Region it has been traditional practice to grow two crops of millet during the wet season, and to make sure this is possible the ‘early millet’ needs to be planted in mid-May. However, farmers have not begun planting and most have not yet begun land preparation. This is a symptom of climate change. Farmers in the region will describe the wet season as beginning in April, with rains stabilising by May. This means that they would begin land preparation after the start of the rains in April and are ready to plant once the rains have stabilised in May. But farmer’s expectations of when the wet season will start and when the rains will stabilise have been changing. Most will now describe that over the past ten to fifteen years the onset of the wet season has been getting later. However, a more important change is that once the rains have started they do not always stabilise, meaning rainfall is not consistent and wet days are separated by several, or even many, dry days. This leaves farmers unsure when to plant. When the rains are unstable, it may rain heavily once or twice but then there could be a period of a week or two before the next rain. This rainfall pattern is not adequate for crop growth, especially in the degraded soils of Northern Ghana which have poor soil structure and low capacity for water retention. In Bolgatanga, where the Trax head office is located, this year the first rain of the season fell on the 21st of April. Between then and the 1st of May it rained a further four times, including rain for several hours on one day. Then, from the 2nd of May, it stopped raining. The rains had not stabilised and the area went another eight days before receiving more rainfall. When the rain started in April, farmers waited to see whether the rain would stabilise before they began preparing their land for planting. They were right to wait because the rain stopped again. Although we have now again had rainfall two days in a row, farmers are still uncertain whether the rain is stable and they can begin preparing their farms for the season. With the wet season starting later in the year and the rains not stabilising early, farmers are unable to plant during May like they used to. 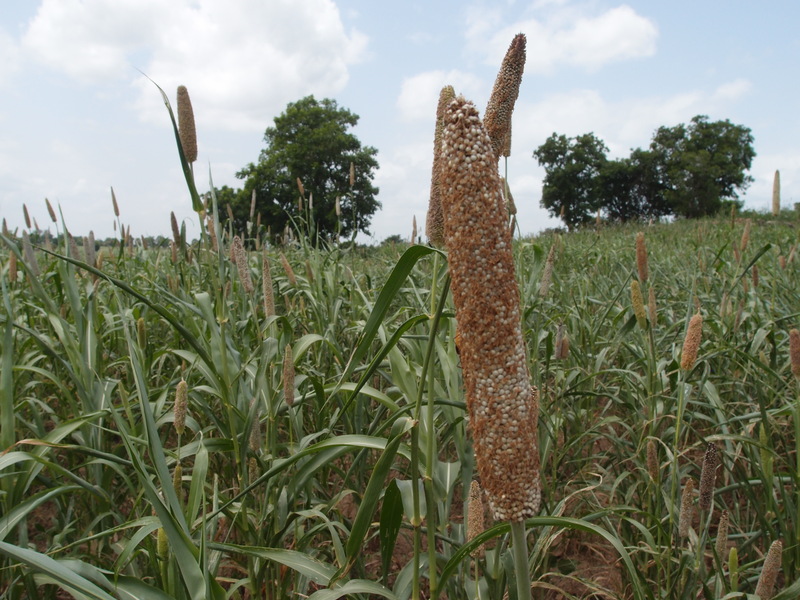 For farmers who grow millet, planting their early millet crop in June or later means that it won’t harvest in time to be able to plant and yield a second crop. This means farming households have lost a whole yield to climate change. Crops dried out and died during a drought, meaning this field gave no yield at all. To make things worse, it is now more common to have periods of drought during the wet season than it was fifteen years ago. 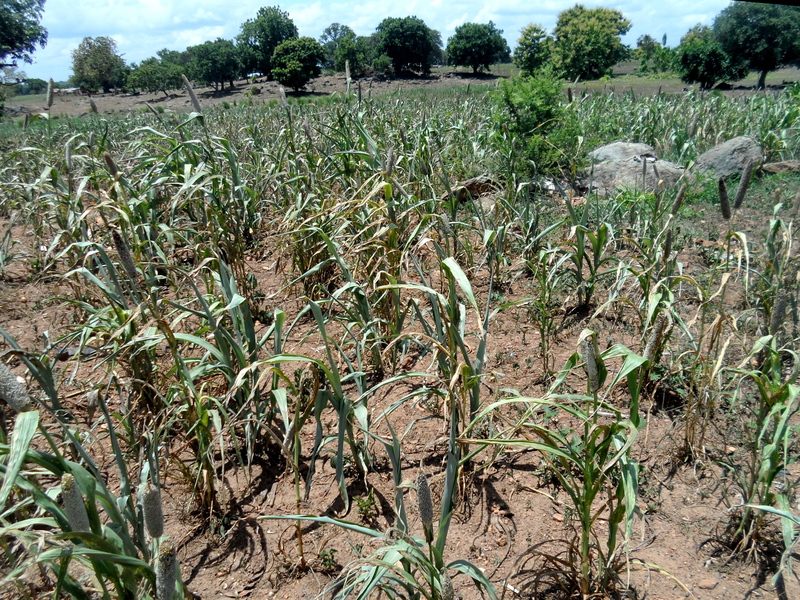 Even after the rains have appeared to stabilise, it is now common for there to be periods of one or two weeks, sometime longer, when there is no rain at all, meaning it is a drought. This can result in low yields, or in some cases no yield, for all crop types. 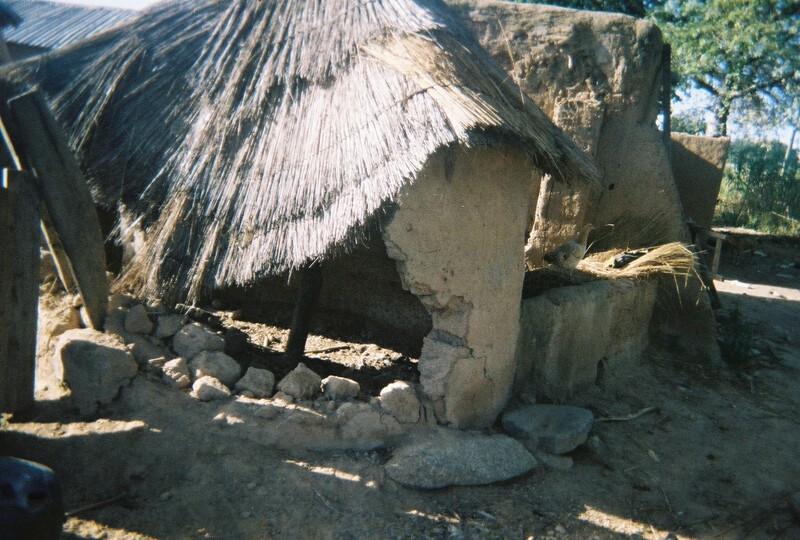 A farmer may lose their entire yield after months of labour, losing the primary income and source of food for their household. So, the later onset of rains and more frequent periods of drought during the wet season both present risks to farming livelihoods. Furthermore, when it does rain, it is now more likely to fall during a violent tropical storm than it used to, rather than typical rainfall. Tropical storms bring lightning and strong winds, which both cause damage to property. Additionally, the rain which falls during a storm a very much heavier than typical rainfall. So, when strong tropical storms bring rain after crops have been planted, the storm will often cause much damage to crops, especially cereals with tall stems. Another way in which changing weather patterns are damaging or reducing yields. This photo was taken by a farmer to show one of their buildings which collapsed during a storm. Unfortunately, climate projections suggest that this trend for exceptionally heavy rainfall interspersed with periods of drought are likely to continue and worsen. Models reported by the Intergovernmental Panel on Climate Change project that the area of West Africa in which Ghana falls is likely to experience an increase in extreme weather events as climate change continues. This will mean more drought and more flooding after intense storms. There is currently uncertainty in models which project average rainfall trends for the region, but most suggest that total annual rainfall will remain similar to current levels, the difference is that this rainfall will come in fewer but more intense weather events. After eight days without rain followed by two days with extremely strong storms, this pattern of drought and heavy rainfall certainly seems to reflect the present weather. With farmers already facing much uncertainty regarding when to plant and what weather their crops will face during the season, the prospects of the climate changing more over coming decades will increase the uncertainty and challenges of farming and the vulnerability of crops on which the nation depends. This entry was posted in Agriculture, Climate change and tagged Climate change, drought, Millet, rainfall, Storm damage, Tropical storms. Bookmark the permalink.